The excerpts are a central and vital part of your audition. We recommend you prepare very well indeed and look at them well in advance of your audition. We include them on the website from when applications open that you have plenty of time to look at them. Excerpts are chosen so that you can demonstrate your understanding of orchestral musicianship in demanding repertoire and in a musical context. They enable the audition panel to establish how players of differing standards and address the technical and musical challenges in the same repertoire. Please pay very careful and thorough attention to all of the musical details of the excerpts (including tempo and markings). All excerpts will be available to download from this page in early April. All excerpts need a password before you can access them, so that we keep within publishing guidelines. The password is included in the application form so that you can see the excerpts while you are completing your application. You can also email auditions@nyo.org.uk to receive this password at any time. We will send it to you again once you’ve submitted your application. 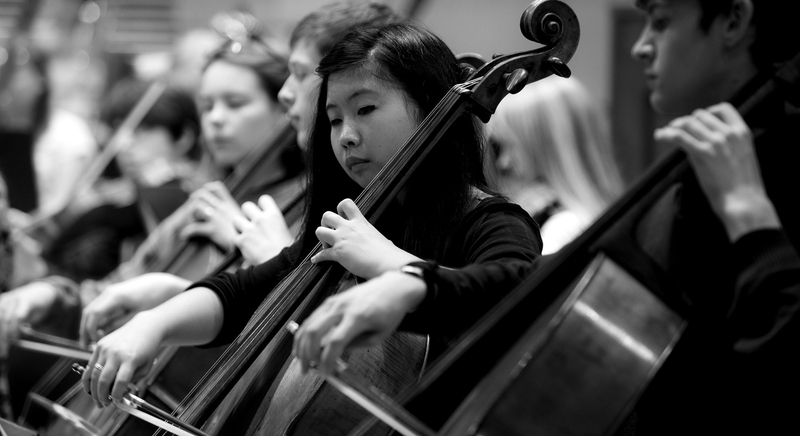 Check out the links below to find tips from NYO's Tutors on how best to prepare your excerpts. Download our document featuring information on how to prepare your excerpts. We suggest that you listen to multiple performances of the excerpts and take them to your teachers, just as you would your pieces. There are lots of different recordings and they are really easy to find on Youtube, Spotify etc. You should research and understand the orchestral context of the excerpts - you could even listen to other pieces from the same composer to widen your knowledge of their work and their style. Helpful pointers from NYO musician Zoë and tutor John to prepare for your audition. Helpful pointers from NYO musician Sam and tutor Peter to prepare for your audition.